Come join us on February 23rd for an unparalleled culinary feast! You will enjoy a seven course meal prepared by LA’s finest chefs. Every ticket sold will benefit the efforts of the Tehachapi Grain Project. 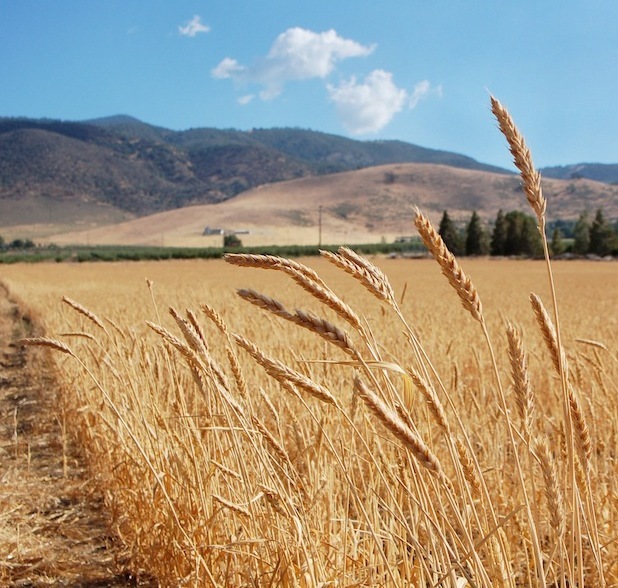 The Tehachapi Heritage Grain Project‘s aim is to preserve and grow heritage organic grains which are naturally drought tolerant and low in gluten. It’s good for you and the environment. Be a part of the revolution, help make California golden again! heritage organic grains which are naturally drought tolerant and low in gluten. Turns gold beneath the summer sky. Welcome! Thank you for your interest in our ongoing efforts to grow heirloom grains in Southern California. Wheat and the other small cereal grains have been planted in the Golden State since the establishment of missions in the 1760s. Our Mediterranean climate is ideal to the growing of the annual grasses collectively known as grains. California once led the nation in barley production and was second in wheat production, but in the early 20th century grain farming began to be replaced by higher value orchards, vineyards, and row crops. However, grains (especially heirloom varieties) tend to have very low water requirements, and remain well-suited for California. We are trying to bring back many different types of heirloom grains, and we need your help to purchase equipment necessary for harvesting, cleaning and storing the ripened grain. Be part of the movement to restore some of California’s rich grain-growing heritage, and help us cultivate beautiful, healthy, non-GMO grains for home cooks, chefs, bakers, and brewers.